For fifty years, House of Cans has provided superior service in the container industry. With hundreds of types and sizes of containers you can be assured that our Customer Service Representatives will go out of their way to assist you in finding the right container. Whether it's cans, pails, drums, jugs, jars, bottles or boxes -- we have a full line. 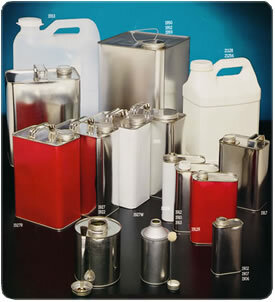 Browse our product line on our website, or give us a call -- where "Hard to Find Containers" are easily found.